We are committed to providing you with the best possible care and helping you achieve and maintain your optimum oral health. In regards to payment, it is due at the time services are rendered. Financial arrangements are discussed during the consultation stage and a financial agreement is completed before performing any treatment. We accept cash or check from the patient and other third party financing can be discussed as needed. 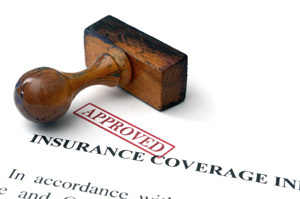 We work with all insurance plans that allow our patients to select their providers of choice. As a courtesy to our patients, we can file your insurance claims. We are NOT however willing to compromise our patient’s needs or health by doing only what insurance is willing to compensate for. Your dental insurance is a contract between you or your employer and the dental benefit plan. Benefits and payments received or paid are based on the terms of the contract negotiated between you or your employer and the plan. Anything that is not covered is solely your responsibility. We are happy to help our patients understand their dental benefit plans and to maximize their coverage.